222 of 223 people found the following review helpful. Really good flash drive. 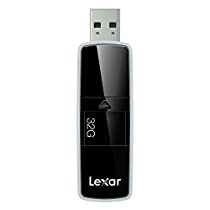 I bought two of these (64GB) when they were $28 each. The mechanism is kind of spring-loaded which makes it feel nice to open. Also very fun to play with. I did get upwards of 245MB/s in real-world experiences with transferring files such as movies. Fits in a PS4 USB port (important to me). It's about 70mm in length, 20mm wide, and 10mm tall. There is a good spot on the back to label them if you wish to do so (does not smear). Comes with a free 1-year license to RescuePRO Deluxe. Personally, I didn't really enjoy using the software and there are better freeware options available. Very easy and large hole for putting on a key-ring or lanyard. After just a month of consistent use, there are scrapes on the USB plug's metal part but that's to be expected with constant use; especially if you play with it and constantly open and close it. However, it's only an aesthetics thing. I attached a picture of mine on top of piano keys to give some people and idea of how big it actually is and to also sort of show from another perspective what the thing looks like. I did a benchmark when I first got the flash drive, then another benchmark about two weeks later when it was about 16GB full. Tried the front I/O ports as well as the rear ports on my motherboard. I also tested the second flash drive that has yet to be really used. They were all essentially identical within margin of error. 156 of 159 people found the following review helpful. 143 of 147 people found the following review helpful. The SanDisk Extreme 64GB is a solid drive overall, just be mindful of what you want to use it for and what you expect for performance. For large, sequential transfers, Sandisk's performance estimates are almost exactly on the mark. CrystalDiskMark measures the sequential transfer rate at 250MB/sec read and 180MB/sec write, which is fast enough that you'll just about need a solid state drive of some kind in order to feed it data as fast as it can write it out. If you just want to dump a bunch of files and go in the minimum amount of time necessary, then this is the perfect drive. However random read/write performance is not nearly as strong. Even 512K random writes are down to 53MB/sec, and 4K random reads and writes drop to 10MB/sec. Though this will beat most hard drives and a number of other USB flash drives, for anyone expecting to treat this as a regular SSD in USB form factor, random performance is but a fraction of the performance of a modern SSD. Writes in particular are an order of magnitude lower than modern SSDs, so as a portable SSD running an OS (e.g. Windows-To-Go) it's not going to deliver that same fast random performance. Under the hood this drive is based on SanDisk's older U100 SSD controller, which explains the results above. 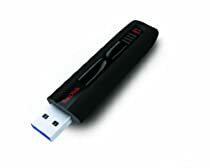 U100 is known for its strong sequential performance but weak random performance, exactly the same as this flash drive. This coupled with the limited amount of NAND and lack of write caching (since it needs to be removable) leads to the overall limited random performance. 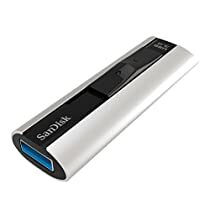 Also of note, this drive presents itself as a SATA-over-USB drive under Windows rather than a pure USB drive, which means it can be SMART monitored and TRIM is supported. Finally, for what it is worth my 64GB drive identifies itself as a removable drive rather than a fixed drive as some other reviews have noted. It's not clear whether SanDisk has made a production change or this is somehow an older drive, but it does mean the specific drive I received is fully bootable. Overall this is an excellent drive for storing or copying files at high speeds, which is exactly what I needed it for. 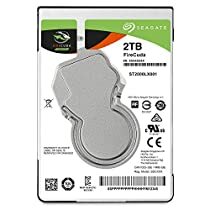 Just don't expect SSD-like random read/write performance from the drive; for that there are better (albeit more expensive) options.